Why go for Invisalign over traditional braces? 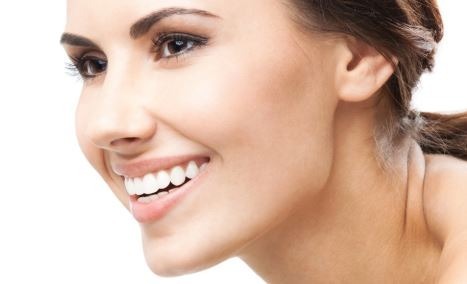 Invisalign treatment in Orange County. Invisalign is an orthodontic system designed to straighten your teeth without the need for traditional wires and metal brackets. The Invisalign system uses a series of clear aligners to gradually move teeth. The clear aligner are designed to slowly move your teeth. Wearing the aligners will slowly straighten your smile over the course of several months. Invisalign is the most popular and most effective of all clear aligner systems. 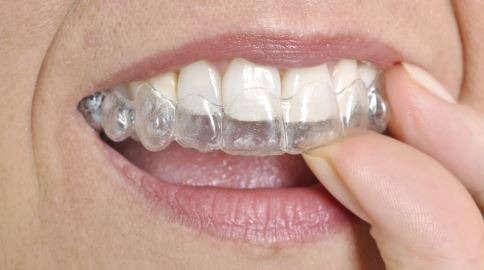 We also offer ClearCorrect as an alternative to Invisalign for those who qualify. You need to keep the aligners in your mouth for at least 22 hours a day. Clear aligners are made from thin, firm plastic which is designed to hug your teeth tightly. You must wear each tray for one to two weeks, as instructed by your dentist, before switching to the next one. Your teeth will gradually move into their ideal position with each new aligner. The number of aligners required to straighten your teeth varies based on how much straightening your teeth require. 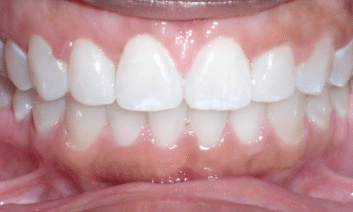 Simpler cases require about a dozen or so aligners and take just a few months. On the other hand, more complex treatments require several dozen aligners and can take one to two years. To start your Invisalign treatment you must first schedule a consultation. Your dentist or orthodontist needs to determine if you are a candidate for Invisalign treatment. If it is determined that you’re a good candidate, your treatment begins by taking records and photos of your teeth and smile profile. Your records will be sent to Invisalign where they fabricate a series of clear aligners. Once your aligners are prepared, your dentist will deliver them to you accordingly. Each aligner moves your teeth a fraction of a millimeter until your teeth move into their final desired position. It is very important that you wear your trays as instructed. Otherwise, treatment won’t be effective and your teeth will fail to move into their desired position. You need to wear each aligner for one to two weeks, as instructed by your dentist. Additionally, you need to keep the aligners in your mouth for at least 22 hours a day. You’re only supposed to remove them when eating, drinking (expect for water) and cleaning your teeth. The rest of the times, including during sleep, you must continue to wear your aligners. The benefits of Invisalign over braces is that it looks better, is more comfortable and can be removed when necessary. No one wants a whole bunch of metal in their mouth and that’s what you get with braces. Invisalign aligners are very thin and clear and hardly noticeable. Plus, you can always remove them if you have to. Although, that is rarely ever required since they are hardly visible to others. Invisalign is easier and more comfortable to wear as compared to traditional braces. Clear aligners don’t cut your cheeks and lips like metal brackets and wires. Overall, there is much less pain and discomfort with Invisalign as compared to traditional braces. Wearing aligners allows you to continue eating and brushing your teeth as you normally would. One of the biggest advantages of Invisalign clear aligners is that they are removable. This means that you can take your aligners in and out of your mouth as need. Wearing aligners allows you to continue eating and brushing your teeth as you normally would. You can continue enjoying your meals and maintaining proper oral hygiene throughout the course of your treatment. However, don’t forget that you must wear your aligners at least 22 hours a day every single day. Otherwise, the aligners won’t be effective in properly moving your teeth into their correct position. Most mild-to-moderate teeth crowding cases can be treated successfully with Invisalign. 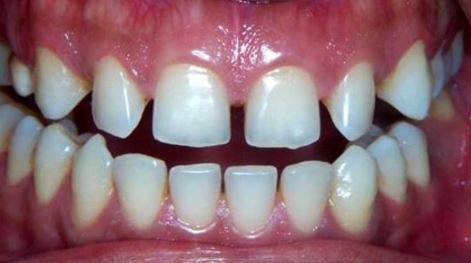 Teeth crowding occurs when there is not enough space in your jaw for all of your teeth. If left untreated, crowding leads to tooth decay and increases your risk of developing gum disease. Most mild-to-moderate teeth crowding cases can be treated successfully with Invisalign. Severe crowding cases may require traditional braces as well as tooth extraction. Invisalign treatment is ideal for closing gaps between teeth. 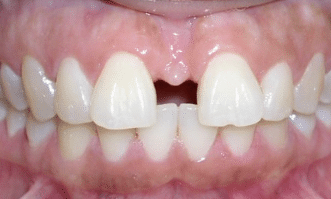 Having gaps in between your teeth is not only unsightly, but can cause bone loss and increase your risk of cavities. Invisalign treatment is ideal for closing gaps between teeth. In fact, closing gaps is Invisalign’s specialty and most gaps can be closed in mere months. 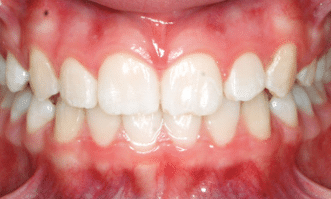 Most mild-to-moderate overbite cases can be successfully treated with Invisalign. 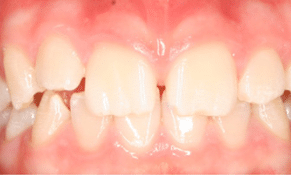 An overbite is where your upper teeth project over and cover the lower teeth. 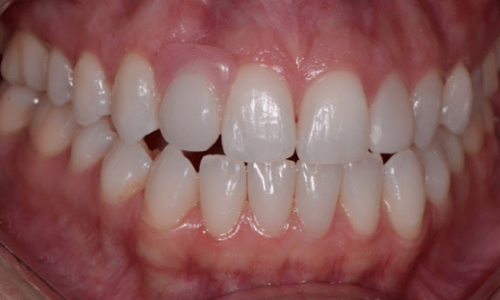 Most mild-to-moderate overbite cases can be successfully treated with Invisalign. Howeve, severe overbites, like the one shown above, require traditional braces, often times with teeth extraction included. To see whether or not you’re a candidate for Invisalign treatment, consult your dentist or orthodontist for assessment. Invisalign is capable of treating most mild to moderate orthodontic cases as mentioned above. Of course, not everyone is going to qualify for Invisalign treatment. 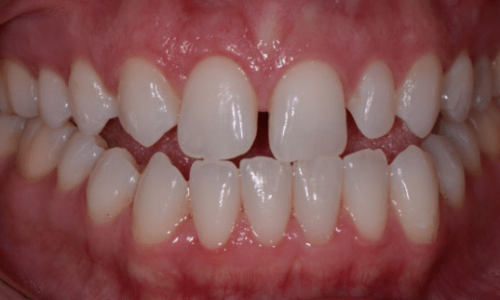 Typically, severe malocclusions, openbites, posterior crossbites and underbites are not good candidates for Invisalign treatment. Typically, these cases require traditional braces instead of clear aligners.